David Allen White II, 31, of Peru passed away on Monday, January 7, 2019. He was born on November 4, 1987 in Lafayette, Indiana to David Allen White and Robin (Mark) Sharp. David was a truck driver for the Drew Ag trucking company, out of Greenville, Ohio. David is survived by his parents, brother Matthew White of Lafayette, step-sister Lindsey Kocher of Martinsville, maternal grandparents Don & Brenda Hilt, maternal uncles Tony Hilt and Roger (Melissa) Hilt, paternal uncle, Bob White, paternal aunt Cindy (Mark) O’Connor, uncle Jeff (Sudonna) White, and aunt Deana Dunbar. Also surviving are several nieces, nephews and cousins who loved him very much. 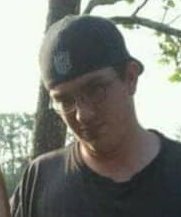 He was preceded in death by a sister Amanda Joy White, a step-brother Justin Sharp, paternal grandparents Robert & Joy White and one paternal uncle, Gary White. Visitation will be held from 1pm – 3pm on Saturday, January 26, 2019 at Flowers-Leedy Funeral Home, 105 West Third Street, Peru, Indiana. Funeral service will follow at 3pm, with Brother Alton Johns officiating. Memorial contributions may be made to the Miami County Veterinary Clinic, and/or to David’s family through the funeral home to assist with final expenses.